This is another makeup created by Phalesia Pilkington. Previously she has submitted a Big Mouth Halloween Makeup. 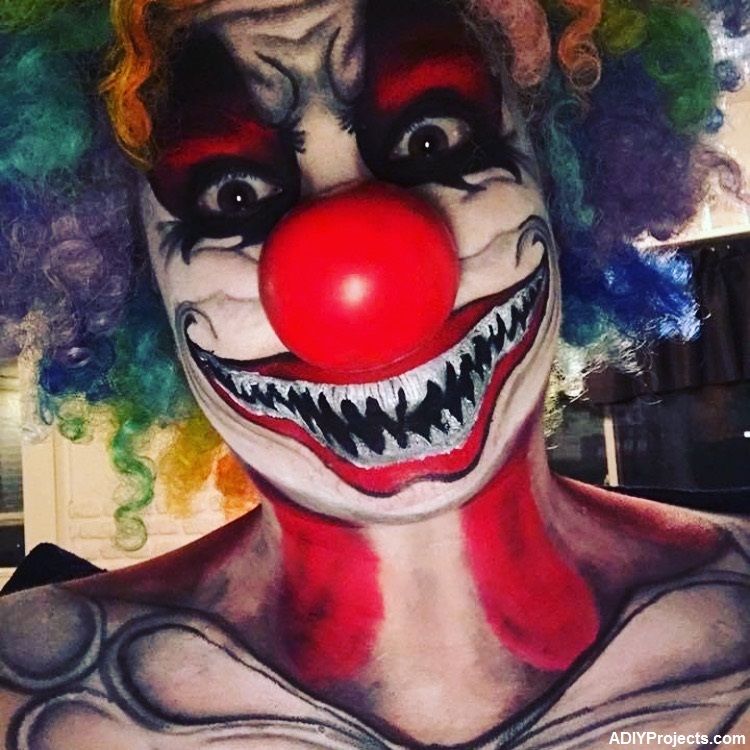 We are very thankful to her for submitting this very Creepy Clown Halloween Makeup for our Halloween makeup contest. If you guys really want to scare the peoples during the Halloween. Then you will definitely love to try this awesome makeup. To learn a complete direction of this makeup and material used for it. Follow the steps given by Phalesia Pilkington. You can also follow her on Instagram (@Moulageartistfx) for more inspiration. Take a white cream or body paint and carefully fill in your face and neck around the lines you just drew. Take red and black body paint and start to fill in details of eyes (blending carefully) and lips. Take a grey/black eyeshadow and start to create shadows and wrinkles in the skin. After the Mouth has dried completely use your white body paint to draw in the teeth in the shape you’d like. The clown collar is optional. I used red, white and black body paints and shadows to blend. Apply a clown wig and nose/costume if desired. Share your thoughts and view about this awesome Halloween Makeup in the comment section.